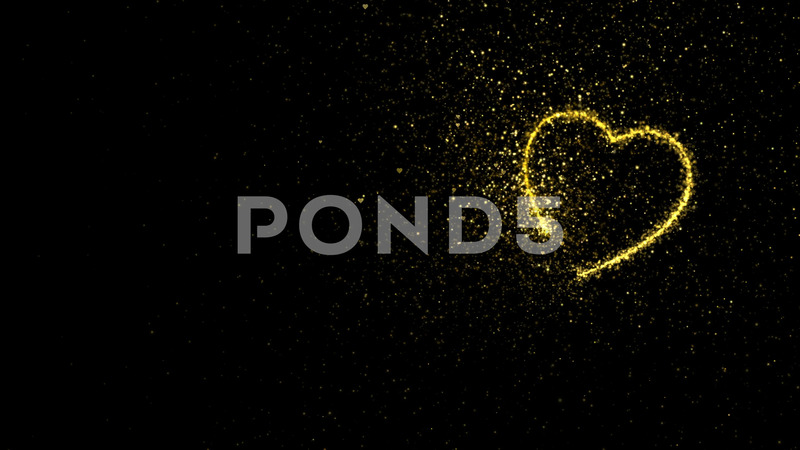 Valentines Day Background With Shining Gold Sparkling Heart Particles On Black. Description: Abstract holiday valentines day background with shining gold sparkling heart particles on black. 4K motion graphic.